Cheeses at Dancing Goats Dairy. On a brilliant summer day in Newbury, Erin Bligh’s goats are literally dancing down a grassy slope to check out a visitor. With their big eyes, soft coats, and long, floppy ears, these Nubian and Oberhasli goats provide the milk for Dancing Goats Dairy’s delicious and very fresh cheeses (Motto: “Made by Hooves — Crafted by Hand”). Bligh’s cheeses range from fresh whipped chevre to aged cheeses studded with peppercorns and herbs. Many of the aged cheeses are named for strong women — such as the Ruth Bader Ginsburg cow and goat cheddar with peppercorns and Josephine Baker goat sardo, and are aged 5 to 9 months. 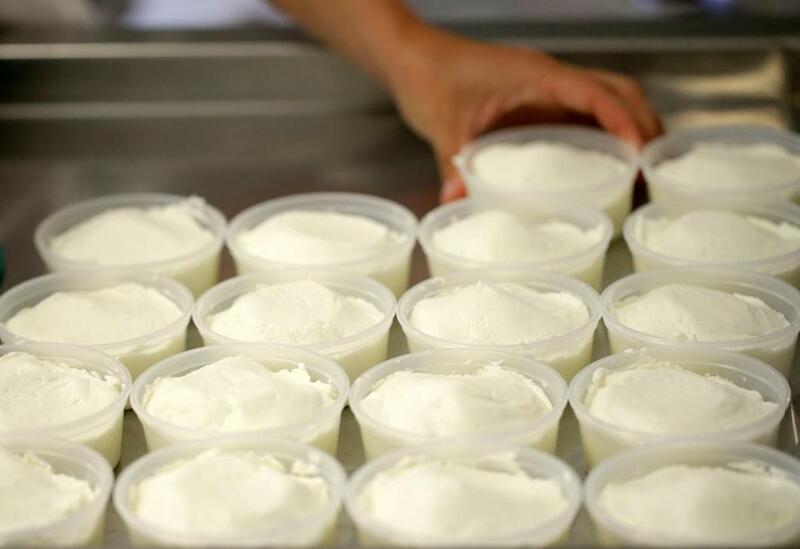 Whipped chevre varieties such as Everything Bagel, Fig, and Sea Salt are sold within days of production. only honor box, at several farm stores, and at the Marblehead, Newburyport, and Cape Ann farmers’ markets. Some locations selling Dancing Goats Dairy cheeses: Dancing Goats Dairy, 41R Parker St. Newbury (farm visits and tours by appointment, 978-255-3218); Newburyport, Cape Ann, Marblehead farmers’ markets; and Tendercrop Farm Store, 108 High Road, Newbury.